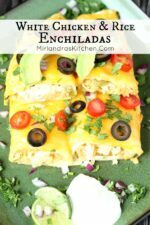 Simple and creamy, these White Chicken and Rice Enchiladas are an easy dinner everybody will love! Mexican food of every kind is on our dinner menu at least once a week. We love the flavors, all the fresh sides and the simplicity of a great dinner! Using cream instead of enchilada sauce is a fun new twist at our house. It brings a fun richness and simplicity to the meal. I suggest making it with my Mexican Rice which is so simple you can even do it in a rice cooker. Enjoy! Need the good stuff with dinner? 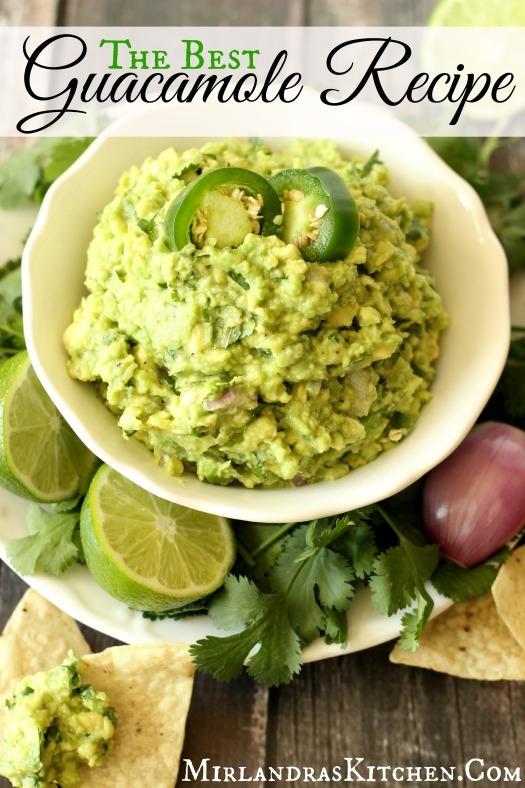 This Guacamole is the best you will ever have and I have the perfect trick to keep it from browning! You can check it out here. Preheat oven to 350 F. Spray a rectangular casserole dish with oil spray. Combine tomatillo salsa, chicken and lime juice. Divide chicken mixture and rice between the tortillas. Roll up tortillas and place in the casserole dish, seam side down. Drizzle cream over the enchiladas and then sprinkle with cheese. Cover with foil and bake at 350 F for 30 min. Remove foil and bake an additional 15 min. or until the top is golden brown. Serve with a salad and margaritas or virgin pina coladas! Always fun to put a new twist on an old favorite!